Samsung has finally finally provided us our first look at its much-rumored foldable display. This panel is what will be the core feature of its long awaited foldable smartphone. Samsung didn’t show off the device today but it did reveal what the foldable display looks like during its SDC 2018 keynote. The foldable display was shown as part of an engineering prototype, in case you’re thinking that the actual device will be that chunky. 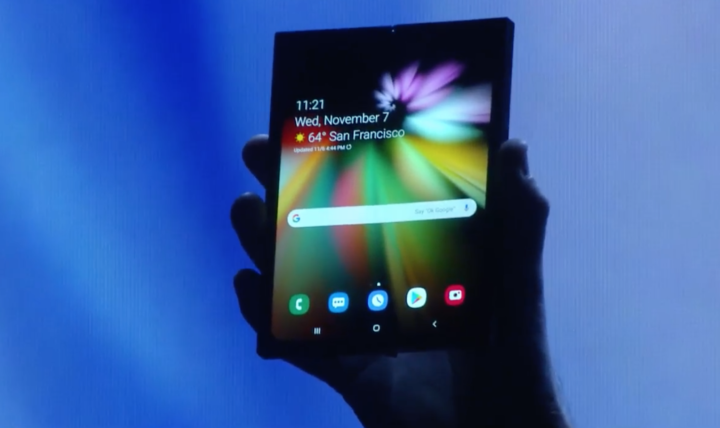 Justin Denison, Samsung’s SVP of Mobile Product Marketing, assured attendees at the conference that what he was showing off isn’t the foldable smartphone. The design has been obscured because Samsung doesn’t want to reveal it at this point in time. What matters is that the company has finally shown us what the foldable AMOLED display looks like and what it will enable the device to do. As reports suggested, the device will have an external display so that users can continue to use it as a smartphone when it’s folded. Once it’s folded out, the internal display makes it double as a tablet. It will be an intuitive, continuous experience between the displays. Samsung will enable users to run three apps simultaneously through a feature called multi-active window. The display itself will be branded as the Infinity Flex. 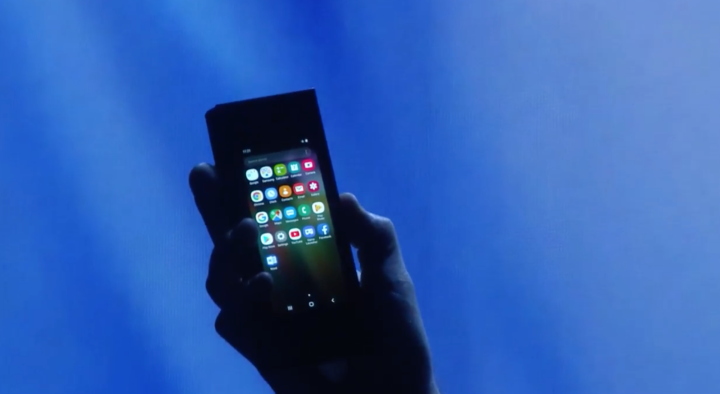 That’s not what the foldable smartphone will be called. No further information has been revealed at this point in time but at least Samsung has shown that it will embrace this form factor with far more substance and polish than others who just want bragging rights. Hopefully this thing will have a giant battery, or a nuclear reactor. That big screen will need it! I’m glad to see the phone space being pushed further and companies like Samsung thinking outside of the box. And, just like with the Note series, naysayers will mock them and say, “that is silly! 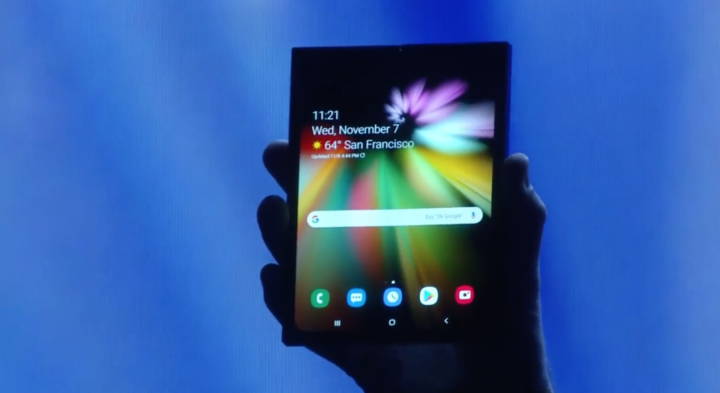 No one wants a phone that can do that!” And then, after several generations of the product, other foldable phones and devices will be on the market. Innovation at last! Can’t wait to see the original design and try it. It will be he said it’s covered up so they don’t give the design away. This will be the future after a number of iterations and the designs become slimmed down. It might well be that the prototype device only has 4GB, but there is no doubt the launch device will be both slimmer and have at least 6GB in line with their latest phones.